Beautiful Amberella may have legs or a mermaid’s tail. She wears an amber crown and is bedecked with amber jewelry. Although amber is the product of trees, because it was often found tossed up by waves, it was associated with the sea. Amber is the vehicle with which to communicate with Amberella. 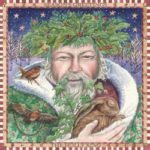 She is a completely benevolent spirit and may be requested to assist with love (especially forbidden love), fertility, pregnancy, and relief from poverty. Amber is considered magickally beneficial during pregnancy. Place amber jewelry on an altar dedicated to Amberella, requesting her blessings before you wear it. Decorate her altar with sea treasures such as shells, sea glass, and small stones, as well as images of mermaids and sea creatures. The beautiful maiden Amberella lived on the shores of the sea with her fisherman father and his wife. While swimming, Amberella is drawn into a whirlpool and pulled into the depths of the sea. Amberella finds that she has been captured by the Prince of the Seas to serve as his princess. He keeps her as his wife in a fabulous undersea palace of amber. When Amberella begs to be returned to her parents, the prince is enraged. He mounts white foaming horses, grasps his princess in his arms, and rises to the surface in a furious storm. As the Prince of the Seas and Amberella rise from the water, her parents see her in his grasp. She is adorned with an amber crown and amber necklace. In her hands she holds lumps of amber which she tosses to her grieving parents. As the prince and Amberella sink back into the sea, they realize their daughter is lost forever. Now, when the Prince of Seas becomes angry, the seas begins to churn and storms rage. From her prison-palace below, Amberella tosses pieces of amber onto the shores to show her parents how much she misses and loves them. Favored people: Fishermen and men in general; Sir Fish is a men’s deity. Sir Fish is not exactly a fish: he’s a whale. Sir Fish, King of the Sea, is a guardian deity in the form of a whale. He is the patron of fishermen whom he protects out on open waters. Sir Fish is widely venerated along the central and southern coasts of Vietnam. Festivals are held in his honor. He may be an incarnation of the Lord of the South Seas. Sir Fish is associated with prominent Vietnamese male military or naval heroes and may be enshrined alongside them. Whales are Sir Fish’s sacred messengers and must be treated with immense respect. Disrespect directed toward his messengers is the equivalent of disrespect directed towards Sir Fish. The first person to catch sight of a whale carcass is considered as one of Sir Fish’s elder sons and must arrange and observe appropriate funeral rites for the whale. The whale carcass must be respectfully interred. In return, the man will receive blessings of good fortune from Sir Fish. Sacred sites: Whale bones that have washed ashore are enshrined in his many temples along vietnam’s southern coast. In ancient Roman mythology, Salacia was the female divinity of the sea, worshiped as the goddess of salt water who presided over the depths of the ocean. She was the wife and queen of Neptune, god of the sea and water. You can petition Salacia for safety on the sea, prosperity, abundance, and true love. 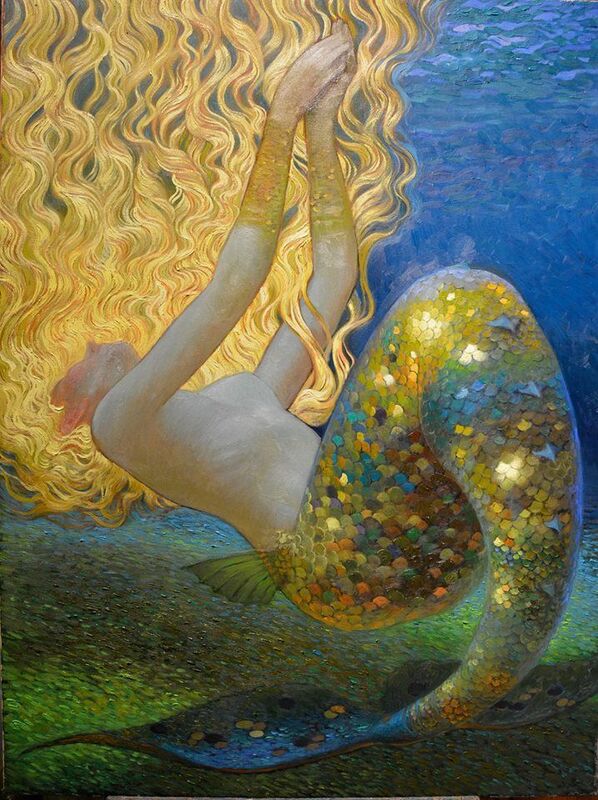 She has powers of healing and fertility and access to all the treasures of the sea. The god Neptune wanted to marry Salacia, but she was in great awe of her distinguished suitor, and to preserve her virginity, with grace and celerity she managed to glide out of his sight, and hid from him in the Atlantic Ocean. The grieving Neptune sent a dolphin to look for her and persuade the fair nymph to come back and share his throne. Salacia agreed to marry Neptune and the King of the Deep was so overjoyed at these good tidings that the dolphin was awarded a place in the heavens, where he now forms a well known constellation Delphinus. Salacia is represented as a beautiful nymph, crowned with seaweed, either enthroned beside Neptune or driving with him in a pearl shell chariot drawn by dolphins, sea-horses (hippocamps) or other fabulous creatures of the deep, and attended by Tritons and Nereids. She is dressed in queenly robes and has nets in her hair. Salacia was the personification of the calm and sunlit aspect of the sea. Derived from Latin sal, meaning “salt”, the name Salacia denotes the wide, open sea, and is sometimes literally translated to mean sensational. As his wife, Salacia bore Neptune three children, the most celebrated being Triton, whose body was half man and half fish. Salacia Neptuni which means “effervescence of Neptune”.She was sometimes invoked by Roman priests as “maia Volcani, Salacia Neptuni, hora Quirini, nerio Martis.” As Salachia, she is also sometimes known as the goddess of springs, ruling over the springs of highly mineralized waters. 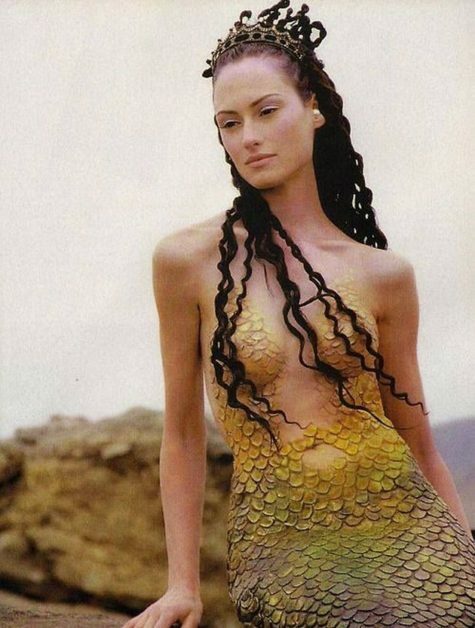 She is identified with the Greek goddess, Amphitrite, wife of Poseidon who shares a similar mythology. Note: This post was put together by Shirley Twofeathers, you may repost and share it only if you give me credit and a link back to this website. Blessed be. Attributes: Flaming pearl, red coral branch. Realm: The Dragon King of the Sea lives in an underwater palace formed from coral. The exact location is subject to speculation: arguments are made for the Sea of Japan or the Yellow Sea. Sacred Date: Taeborum, the Dragon Festival is celebrated in Korea on the first full moon of the lunar calendar. The Dragon King is invoked and honored at the harbor. Women wade into the river to launch miniature boats bearing lit candles. Written wishes and messages to the Dragon King are attached to the boats. Dragon kings appear in the mythology of various East Asian people; they may or may not be the same spirit. 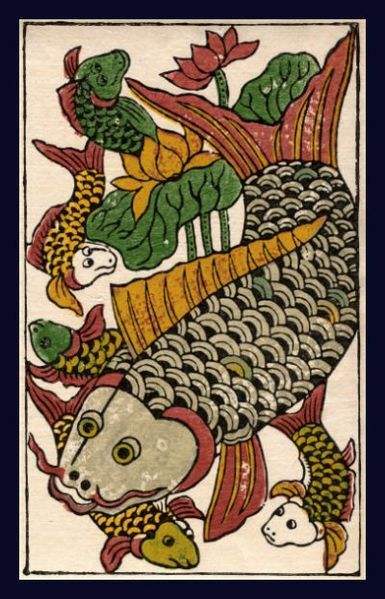 Although there are many dragon spirits resident in the sea, the Dragon King is their chief, lord, and master. The Dragon King is the lord of water; he controls precipitation and thus helps or hinders agriculture. He controls sea waters, stilling them as desired or raising storms. He remains an important deity for sailors and those who fish or otherwise ply the waters. He is not limited to salt water but has dominion over rivers, too. According to Chinese myth, the Dragon King of the Sea lives in a beautiful underwater palace. Crabs and lobsters serve as his courtiers. In Korea, the Dragon King is the complementary power to the Mountain Spirit: they represent yin and yang respectively. 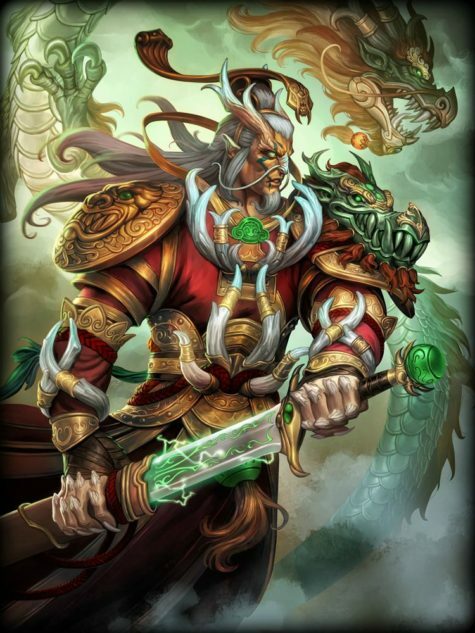 Even though the Dragon King is male, he epitomizes ying energy. The Dragon King has a beautiful daughter, often depicted in human form riding a dragon similar to images of the Japanese goddess, Benten. The Dragon King and his family are master magicians and transformation artists. They are not restricted to only one form.